On 31 October 1917 two events happened which shaped future world history. The first was the capture of Beersheba by British, Australian and New Zealand soldiers, part of the Egyptian expeditionary force (eef) under general Allenby. The second was the decision by the British war cabinet to endorse the establishment in Palestine of a Jewish national home- the legal foundation of the future state of Israel. Two major battles against the Turks at Gaza in March and April 1917 had failed. The capture of Beersheba was in many ways the last throw of the allied dice. Although the assault against Beersheba was to be the main thrust of the allied attack, the Turks had to be fooled into thinking that the main thrust of the assault was against Gaza, and the assault on Beersheba was merely a diversion. Secrecy was of the essence. The major Turkish defense line at Beersheba was a trench system stretching from the northwest through to the south- west of the town. These trenches were to be assaulted by general chetwode’s British infantry. Although some Turkish forces were stationed east of the town (at tel beer sheba and trenches at the eastern entrance to the town), the Turks never seriously anticipated an allied attack from the east. Allenby’s plan was to attack Beersheba from the more poorly defended east of the town with men of the desert mounted corps, the Australian lighthorse, NewZealand mounted rifles and British yeomanry. In the days prior to 31 October Allied attacks began on Gaza, while at the same time Allied troops began moving into position for the assault on Beersheba. As the Australian and New Zealand mounted forces reached some hills to the east of Beersheba early in the morning of 31 October, the British artillery began shelling the Turkish trench system, and soon afterwards the British infantry went into action. 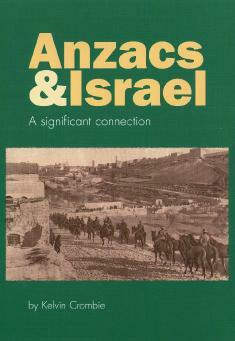 Troopers from the Anzac mounted division (the 1st and 2nd Light horse and the New Zealand mounted rifles Brigades) then began moving towards their objectives - Tel Sakaty (on the Beersheba to Hebron road), and the strategically located Tel Beer Sheba. The Australian mounted division was held in reserve. Although Tel Sakaty was captured, Turkish resistance at Tel Beer Sheba was stronger than expected. By mid-afternoon general Chauvel, the commander of the desert mounted Corps was concerned. The sun would soon be setting, and the plan was to capture Beersheba in one day, so as not to lose the element of surprise and to ensure a sufficient water supply for the thousands of soldiers and animals. At about 3pm he sent the 3rd Lighthorse Brigade to assist with the capture of Tel Beershea. At that point the New Zealanders also launched a fierce and courageous bayonet attack upon the Turkish positions – and won. Tel Beersheba was now captured, and as the British infantry had already gained all of their objectives, the route into Beersheba from the east was clear. General Chauvel was now left in a dilemma: as daylight was running out and he had to determine the quickest way of taking the town, so the Turks (and the German engineers) would not destroy the valuable water wells there. Allenby insisted upon a quick and decisive victory. Against the protests of the commander of the British yeomanry, Chauvel gave the task of completing the victory to General Grant, commander of the 4th Light horse Brigade, which was comprised of the 4th and 12th Lighthorse regiments. At approximately 4.30 pm these men, numbering over 500, began moving onto the plain to the east of Beersheba in three lines according to the three squadrons. At about the same time discussions were then taking place in London relating to the future of Palestine once it had been captured. 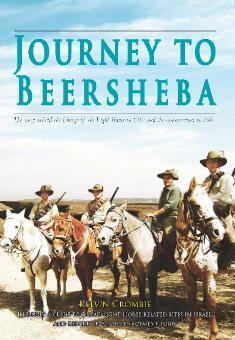 The Australian horse men then finally began to move towards Beersheba - and the charge of Beersheba had begun. The Turkish artillery began to fire on the men, but as they charged forward so quickly, the horsemen galloped under the guns –the Turks merely could not bring their sites down quick enough. The leading squadrons then came to the forward Turkish trenches, and while some men dismounted and fought hand-to-hand combat in the trenches, others galloped into town. Some of these men managed to stop the destruction of the important water wells. In Beersheba they linked up with other Lighthorse men coming in from the northeast. After no more than an hour of intense combat, Beersheba was captured. Victory, which had been set-up by the British infantry and the New Zealanders and other Light horse regiments, had now been concluded by the courageous charge by the men of the 4th Australian Lighthorse Brigade.